Today Only: Get a One-Year Subscription to Ladies Home Journal for just $4! 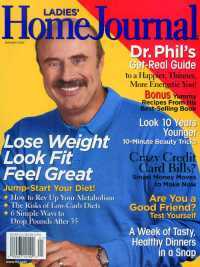 Today only (1/12/2011), get a one-year subscription to Ladies Home Journal Magazine for just $4 when you enter code: 1056 at checkout! Hurry over and cash in on this deal now! 25% Off Cereal at Amazon: Rice Krisipies, Special K & Raisin Bran!